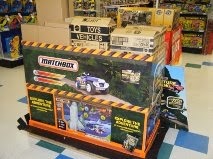 Marcel Colijn sent me a photo of the latest Toys R Us display. This appears to be a regular event in this chain store though I believe that other stores may do the same thing. How things have changed over the years. I think that Matchbox models and boxes always look best in their original environment. There are no answers this week. I hope to have more next week. Please keep your questions coming in. There are just three new images available to show this week. 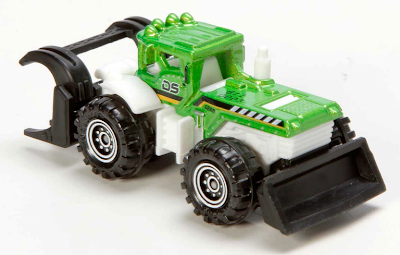 The Dirt Smasher is a new model for 2014. I hope to have more in my next report. 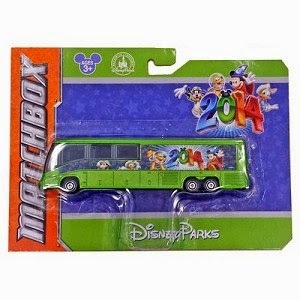 I believe that the 2014 Disney Bus has been released though I have heard that there may be some supply difficulties. I am very grateful to several collectors who were able to update me with some facts about the Citroens I looked at in the previous two articles. 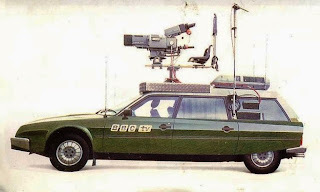 The word "Safari' was probably erased from the base because the name "CX Safari" was only used by Citroën in the UK, and Matchbox, with export sales in mind, thought it would be simpler to just call the car "CX". "Safari" was Citroen UK's designation for the station wagons (there were also Citroen DS/ID Safaris from Husky/Corgi Juniors and Corgi Toys) but these were not used elsewhere and in France it was called “The Break”. As the CX model was aimed at the European market (LHD steering wheel) Matchbox just deleted the Safari name from the baseplate. The BBC use two DS cars and then a CX Safari. Perhaps Matchbox might have considered modifying a model to the BBC colours. I now believe the 15 CV and 16 CV are the same car. Citroen called it a 15 but it actually fell in the 16 CV (CV = tax horsepower calculated from engine size) class. The only Traction Avant longer than the 15/6 CV was the scarce V8-powered 22 CV. There was never a Citroën officially called the 16CV, just the 7, 11 and 15CV (plus the elusive 22CV). Citroën never introduced annual facelifts on its cars. It now appears that this was a first draft of the car, incorrectly named and too big for a standard Matchbox box, so the tooling department decided to start again with a smaller, and more correct, prototype of the same Citroën model. I think that collectors are generally interested in actual models and colour schemes on models that were not eventually chosen. Last week I looked at the Citroen Safari and the Citroen 15. 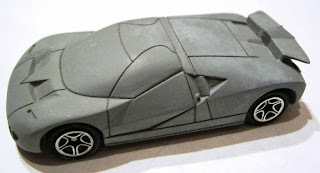 This week I will consider some more models that reached various stages of production before they were dropped. If you are able to provide any further information on these models, I would be pleased to relay it to others. The Pontiac Grand Prix was planned to be blue. The decision to suddenly change this to red must have been taken very late in the day as the boxes had already been ordered depicting blue models. It was always Odell who had the final say but there is no evidence to explain his change of heart except maybe the fact that there were already a good number of blue models in the range. An even stranger decision must have been taken when the first batch of models, with NEW MODEL, on the end flaps had been exhausted. The second batch of boxes also showed a blue box, but with the NEW MODEL no longer being shown. The three pre-production models shown are from different eras of the model, though they have all been played with or used for test purposes. The blue car with opening doors is one of the few that the artist used originally for this box design. When the model was converted to Superfast wheels, it was not possible to continue with the opening doors and so they were sealed shut. 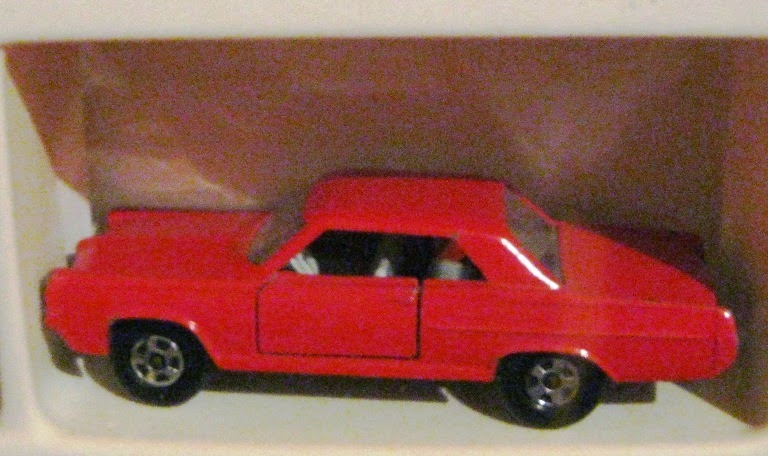 The mauve model shows sealed doors but still with black plastic wheels. As no interior or windows were fitted, it is presumed that it was just made to see what the Pontiac looked like with closed doors. A decision had been taken to ensure that the whole range had bright colours in 1970. 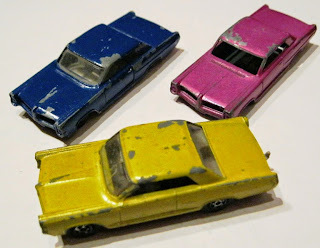 The Pontiac was eventually painted in various shades of metallic purple. One wonders why this staid pea green version was even painted up. The model continued to interest collectors. 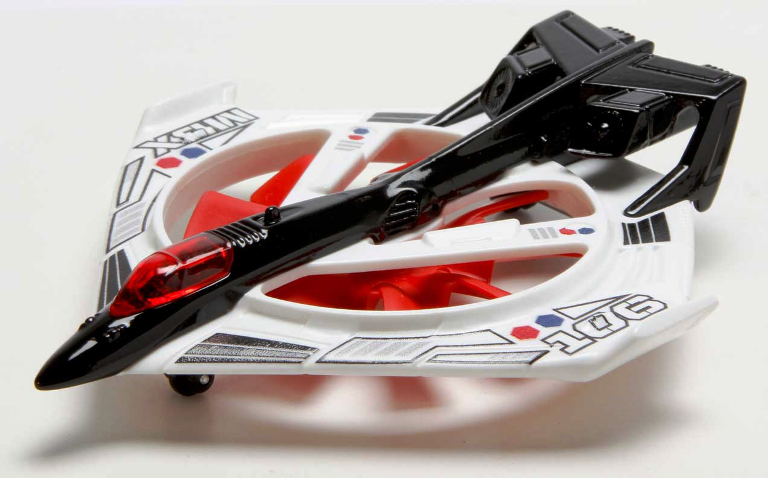 The red cross-over version is very rare and commands high prices as does the final regular wheel box. 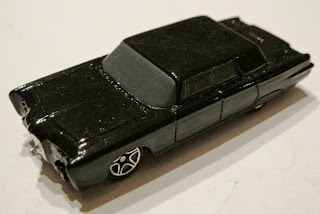 This model shown below was called Black Beauty and was driven by a character called Green Hornet. I seem to remember that it was often the case that licensing could take several months or even longer and this has been echoed even today. Design was carried out in great secrecy in case a competitor got wind of it and fast tracked production to steal a march. One way to speed up releases was to assume that licensing approval would be given. This was the case with this model. 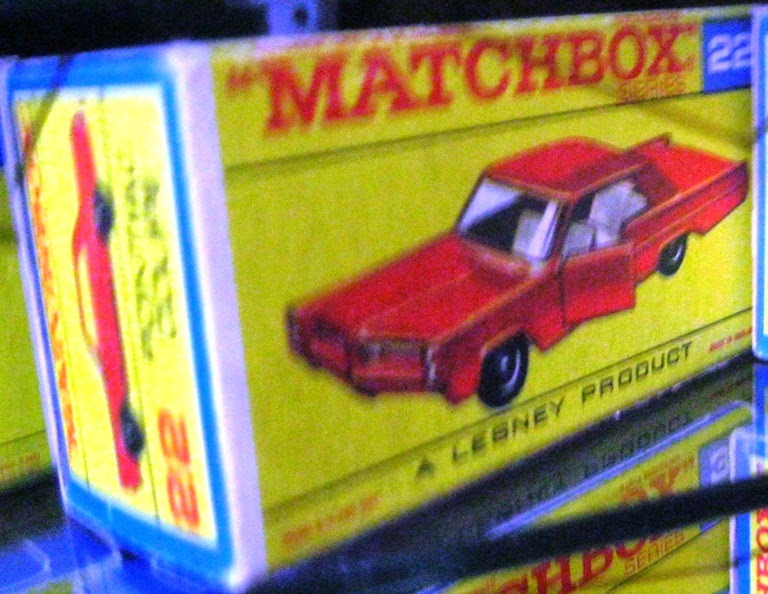 However, another company had already secured the licence and Matchbox stopped development immediately. 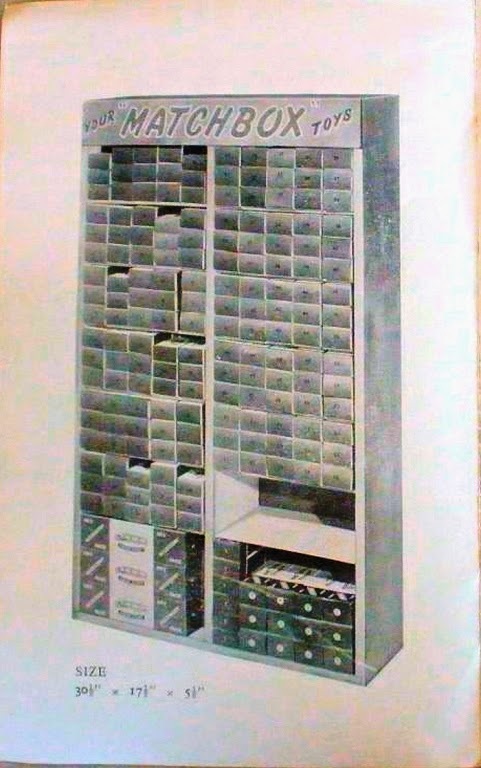 There is no interior and no decoration for this model and I believe this was the extent of the manufacturing process. I think the model was to have been linked to a radio and television programme. The Green Hornet was the alter ego of Britt Reid, a wealthy young publisher of the Daily Sentinel newspaper by day. But by night Reid wore the long green overcoat, green fedora hat and green mask of the mysterious "Green Hornet" to fight crime as a vigilante. Reid was accompanied by his loyal and similarly masked partner and confidant, Kato, who drove their technologically advanced car, the "Black Beauty". Though both the police and the general public believe the Hornet to be a criminal, Reid capitalizes on that perception to help him infiltrate the underworld, leaving behind criminals and any incriminating evidence found for the police. What a pity this model did not proceed, though of course the model could only appear in black and that would have restricted variations. The Mitsubishi GTO was a sports car built in Japan between 1990 and 2001. In most export markets it was rebadged as a Mitsubishi 3000GT. However, it was also imported and sold by Chrysler in North America as a Dodge Stealth from 1991 to 1996, with only minor detail differences. Mechanically, the two cars were identical. The Mitsubishi GTO, the Mitsubishi 3000GT and the Dodge Stealth designs were the result of the collaborative effort between Chrysler and its Japanese partner. There were plans for a Viper television programme featuring the Dodge Stealth R/T Turbo, a Viper Morphed and a Dodge Viper in 1994. 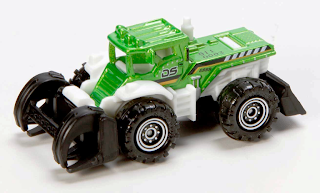 There must have been a tie-up with Matchbox as Tyco, the then owners, decided to produce several models for the show. Although in the event the show was cancelled, it must have been close to release. 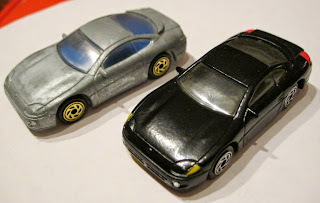 Several models were produced with a complete base showing 1994, a proper die-cast body, interior and windows. The Stealth model shown has an unpainted body with a blue interior and a white plastic base. The second was painted plain black with tinted windows and a grey interior with lights picked out front and rear and a black plastic base. 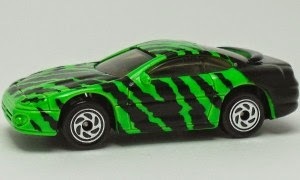 A third version had green stripes without any further decoration. I believe that the Dodge Morphed was also produced for the same series. These cars were complete down to the full date, a detailed black plastic base showing a scale of 1:60 and traditional rivets. One was painted in plain silver and the other had decoration that was supposed to represent bullet holes. I have no idea why either car could not have been released as a standard vehicle, though it has been suggested that that the Stealth model looked too wide and possibly the Morphed would only be recognised if the TV show was running. 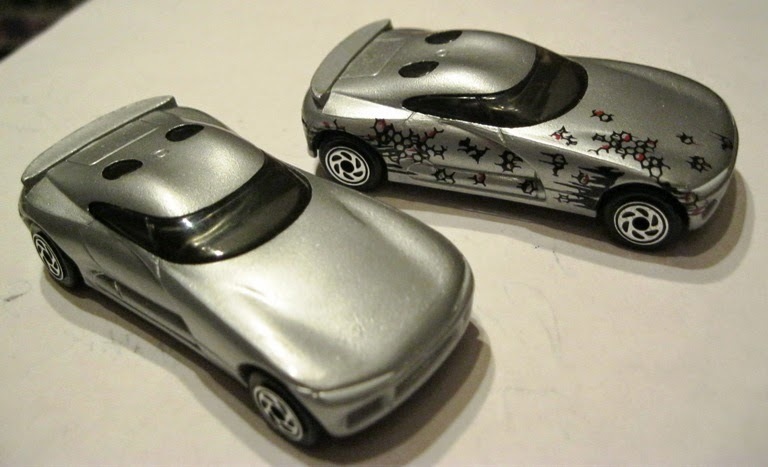 In the event, only the Dodge Viper joined the Matchbox miniature range. David Tilley has suggested that perhaps the Stealth was to some extent retooled into the Mitsubishi 3000GT Spider as per its origins. He suggested that Matchbox looked at the casting, re-evaluated what they wanted to do with it and worked on a top down version instead. I guess we will never know the whole story. The final model evades my memory. It may be based on a Bugatti or a Ford GT40. I will leave it to the experts to enlighten me. 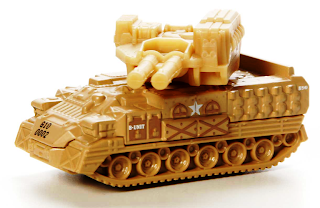 This model was stopped at the resin stage because licensing was presumably refused, unless the real vehicle did not proceed.